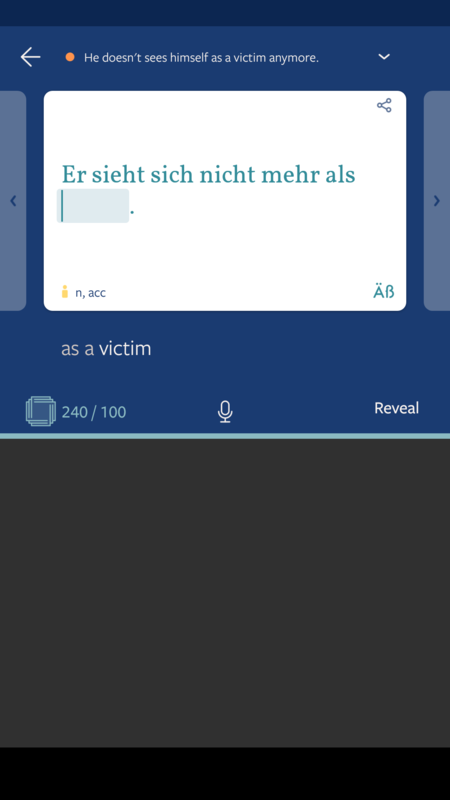 Typo in translation of "Er sieht sich nicht mehr als Opfer"
The sentence "Er sieht sich nicht mehr als Opfer" is given the translation "He doesn't sees himself as a victim anymore." Please see the screenshot below: However, "he doesn't sees" is not correct English grammar. The verb "to see" assumes its infinitive form when it is preceded by the copula "to be" in "does".